I have never heard of these two! The two characters are from Saga. 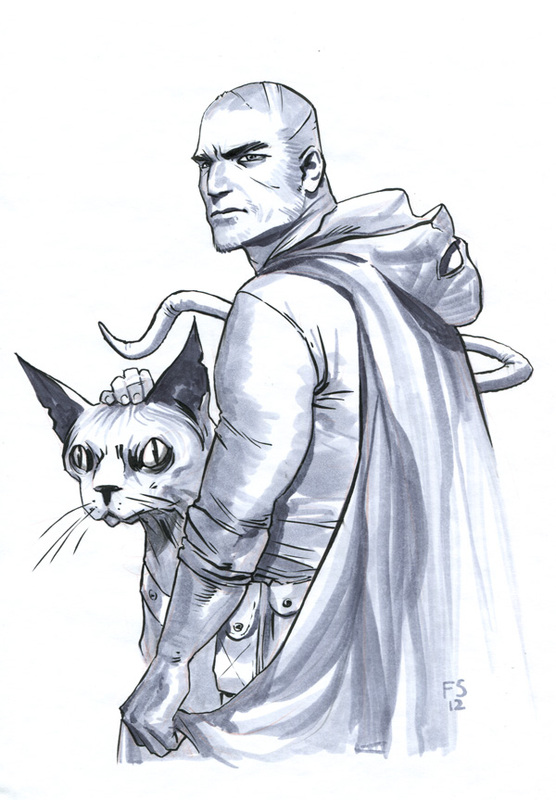 The Will is an intergalactic assassin and Lying Cat is his sidekick. He can tell when people are lying. Oh! Thanks for that but I would have liked it if the cat was a rumour monger. He/she’s no Angry Cat, but I guess being slightly psychic trumps angry powers. perhaps. I don’t even call my kids by their given names anymore. I can’t be expected to remember names of random felines I meet online.